If you're anything like me, a morning coffee is vital to get the brain ticking over and to survive the day! Often when I'm off adventuring finding a good cup of coffee is difficult to come by, and on my recent trip to Japan I was fearing the worst. To my surprise, during my stay in Kanazawa I happened upon a quaint cafe by the name of Curio Espresso and Vintage Design who serve an array of hot drinks including delicious coffee. Hallelujah! My sanity was saved (well at least for the 3 days I was in Kanazawa!). Following their move to Japan, Sol and Yuko opened Curio, a Seattle inspired coffee shop, featuring vintage décor brought with them from America and boasting a warm, homely vibe. Coffee lovers themselves, the first wave of artisan roasted espresso was arriving in Japan and Sol and Yuko decided they wanted to do their part to make sure it was done correctly. 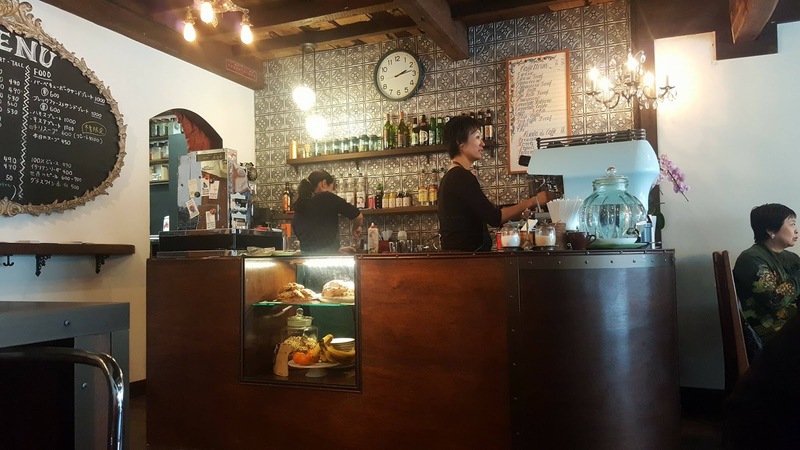 This cosy cafe is often frequented by expats from around the world looking for a place to relax and unwind. On the first Saturday of each month, Curio hosts a live music night, featuring a fantastic array of local musicians, turning into a hot spot for travellers and a hive of activity! But for me, the coffee was the icing on the cake (or the foam on the latte?...). With an expansive coffee menu, I struggled to decide what to treat myself to first. The price of hot drinks ranged between 400¥ and 550¥, equivalent to roughly $4-7AUD. They also serve a range of teas, sodas and juices, or beer if you're feeling up for it! Nothing on the menu will break the bank, so whether you're on a strict budget or can splash some cash, you'll find something to satisfy your taste buds! 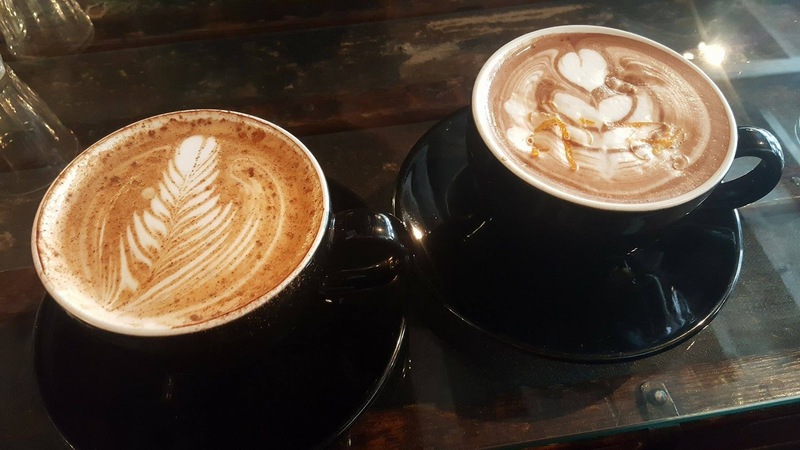 Over my time in Kanazawa I got to try their Zesty Mocha, Cinnamon Latte, Macha Latte and Chai Latte. I have to say, they were all absolutely delicious and clearly made with precision and care. Yuko is fantastic at latte art, and finishes each coffee with a flare. They very much pride themselves on service with a smile and make all their visitors feel extremely welcome. 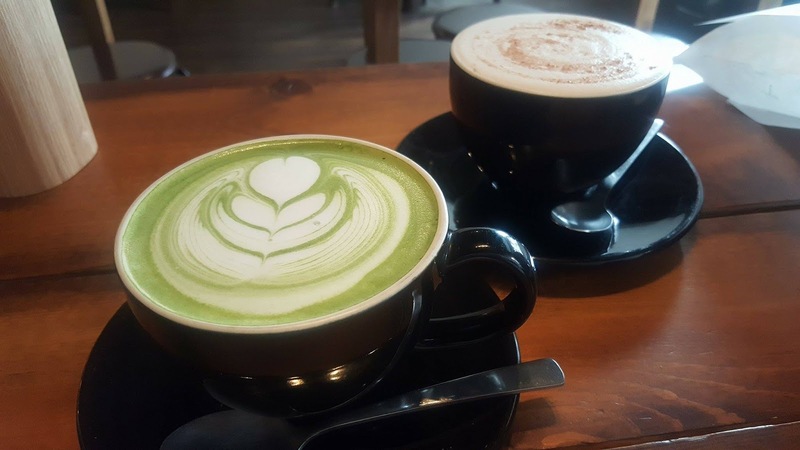 Hint, if you haven't yet tried the Japan speciality "macha latte" be sure to try their's (so delicious!). 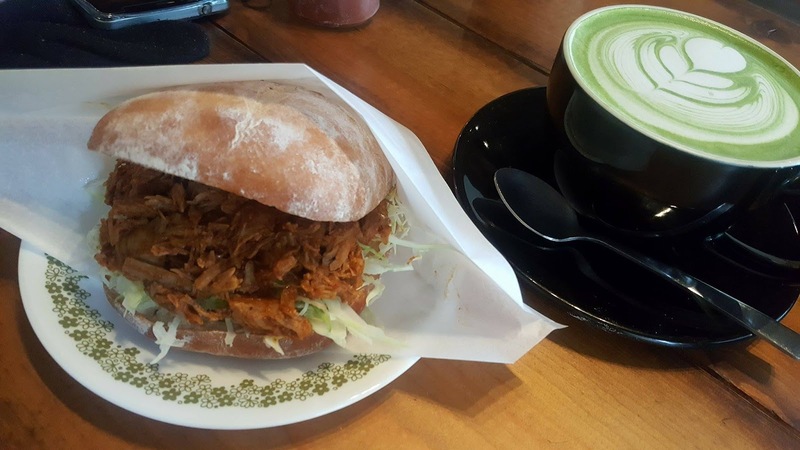 If you fancy a bite to eat, Curio also has a number of items on the menu to fend off the hunger pangs, with my favourite being the pulled pork roll *yum*. Everything on the menu is homemade, right down to the BBQ sauce, and sourced from local producers. Their coffee beans are custom roasted from an artisan roaster on the other side of town, the milk sourced from a small local dairy in Uchinada and the eggs obtained from a lovely lady who only produces eggs for local businesses and neighbourhoods. The rest of their produce is supplied by the Omicho Market located just down the road - can't get much more authentic than that! Sol and Yuko's pride in Curio is evident, from the styling of the café to the presentation of their products. Curio is a one-of-a-kind café in Kanazawa, with owners who are focused more on creating a space they love to share with others than on making the most money. When they opened the café 3 years ago, I doubt they could have dreamed how successful Curio would be, but their passion and authenticity shine through and draw travellers from all over! Hi I found your website we connect in twitter. I love coffee a lot I can't go anywhere without drinking my coffee. Yum Yum, by the way great blog post. Hi agir Who wanders and how are you but me name is mustafa but î am from thé live in thé desert sahara for camels and curxiones also en the désert Sahara for Morocco hope impossible can we have a good friend Will hère ?? I really enjoyed this venue NYC and you can definitely find me here for more events. I didn't eat anything when on my recent visit, but those around me had truffle fries, pizza, and wings all seemed to enjoy. Nice article, thanks very much! Drinking caffee is something that I can't avoid. I remember I was in morocco in a desert tour, and there i meet some inhabitants in berber village in the heart of the desert. I drunk with a them a, unforgetable caffee.